Worksheet Pictures from the Area Planning Meetings. Thanks to William Z for the pictures! Photo taken on 3/3/07 - Thanks to Lu Anne & Vern F for the picture! 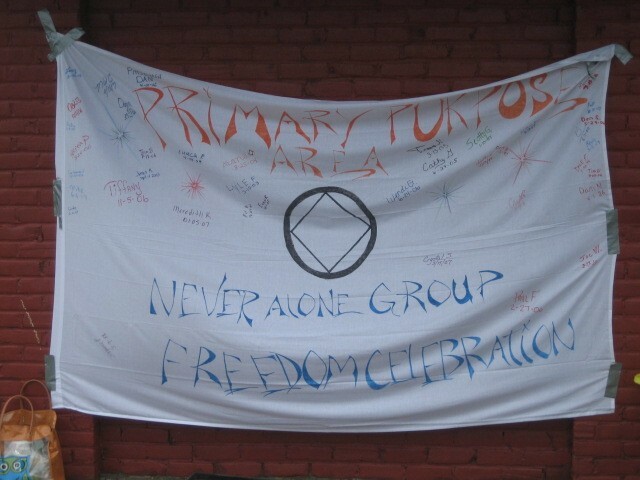 Picture of Banner for the Primary Purpose Area/Never Alone Group 2007 Independence Day Celebration held on 6/30/07 at South City Park, Brookfield, MO. 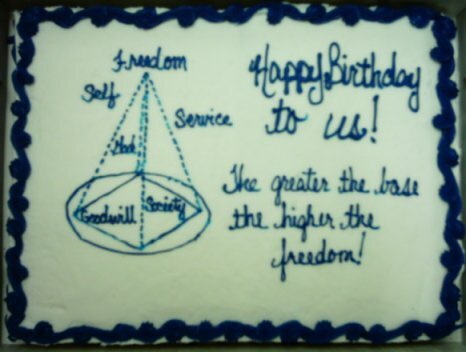 This event started in 1997 when several members of the Never Alone Group decided to get together to support one another over the 4th of July holiday. It's grown and grown since then. In 2007, its estimated between 250 and 300 people attended the event. The Never Alone Group offered this established event to the new area as the first "official" function sponsored by the Primary Purpose Area of Narcotics Anonymous to help further carry the message of recovery in the area. The wooden plaque below was created by Lu Anne & Vern F in honor of the new Primary Purpose Area and was unveiled during the Independence Day function. 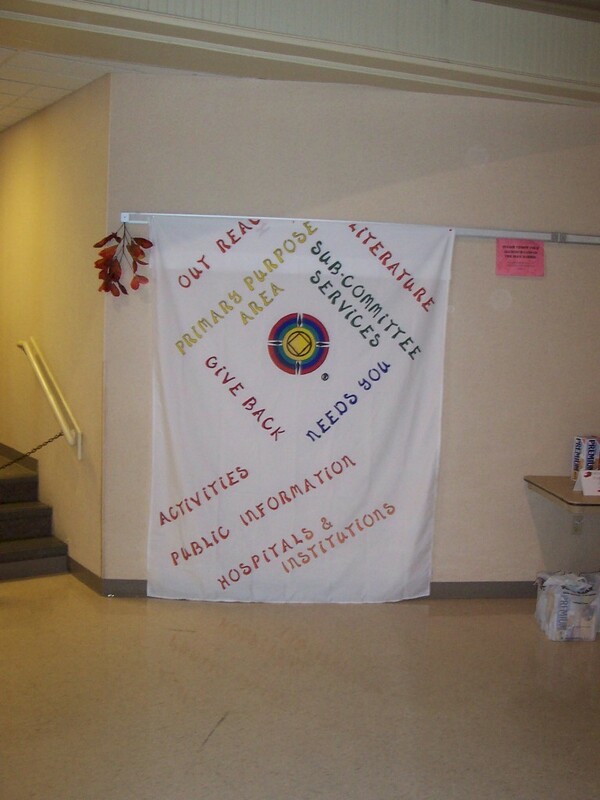 Picture of Banner for the Primary Purpose Area Learning Days function in November 2007 at Centralia, MO. 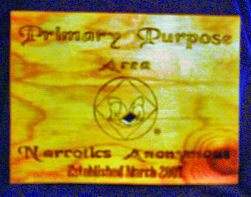 Picture of sign created for the Primary Purpose Area New Years Eve function in December 2007 at Macon, MO. The sign above was created by Dale P. and donated to the Primary Purpose Area. 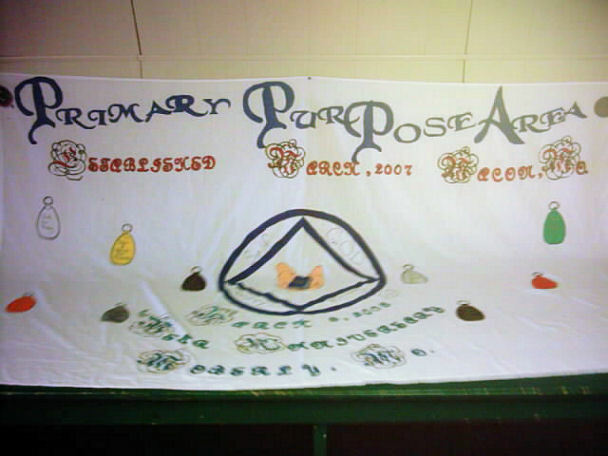 Picture of banner created for the First Anniversary function of the Primary Purpose Area held in March, 2008 in Moberly, MO. Send mail to webcoordinator@primarypurposearea.org with questions or comments about this web site.